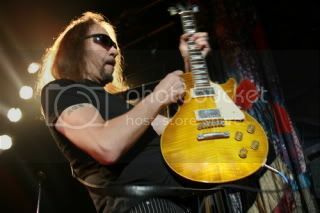 Ex-KISS guitarist Ace Frehley has announced new North American concert dates in support of his latest solo effort, Anomaly. 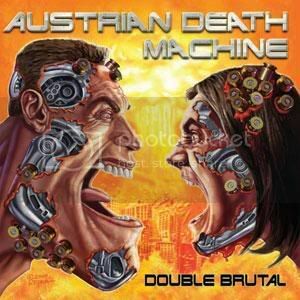 American thrashers AUSTRIAN DEATH MACHINE have posted their track “Who Told You You Could Eat My Cookies?” online. 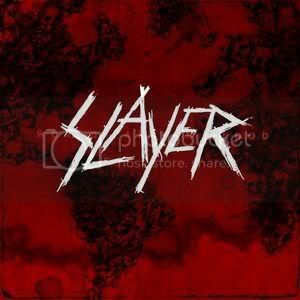 The song comes from the groups latest release, “Double Brutal”. Check it out HERE. OZZY – To Guest Host On Monday Night Raw! Ozzy Osbourne and his reality queen wife (and manager) Sharon Osbourne will rule the ring as the latest celebrity guest hosts of Monday Night Raw at the DCU Center in Worcester, Massachusetts. The event will be broadcast live November 2nd at 9:00 PM ET / 8:00 PM CT on USA Network. 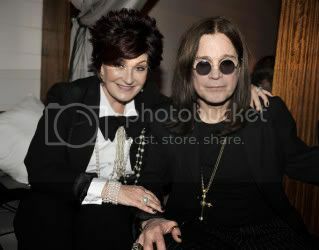 The Prince of Darkness is promoting his memoir, I am Ozzy, which details his childhood and his years in entertainment. The working-class kid from Aston, England, sold more than a hundred million records with Black Sabbath and as an award-winning solo artist combined. I am Ozzy is currently in stores in the U.K., Germany, Ireland and Australia and it will be available in the United States on January 25, 2010 from Grand Central Publishing. Trailer For Zakk Wylde’s Hellfire Halloween Bash! 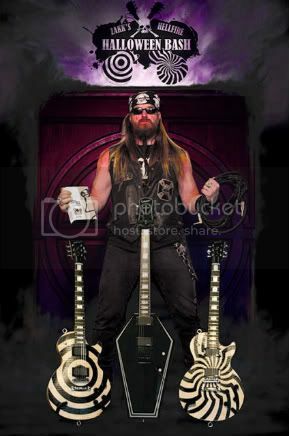 Just when you think you can’t be amused any more by his absolutely over-the-top “Wild Man of Rock” antics, ole braided Viking beard aka Zakk Wylde of BLACK LABEL SOCIETY, pulls us back in! TMD has received a special video of the guitarist – acting like a maniac as usual – promoting his upcoming Hellfire Halloween Bash on October 31, 2009, at the Hard Rock Café Times Square in NYC. Check it out on TMD’s MySpace page HERE. UK doom metallers CATHEDRAL are ready to commence work on their ninth studio album! The band will enter the Chapel Studios together with producer Warren Riker in November to record “The Guessing Game”. Some song titles have also already been revealed: ‘Journeys into Jade’, ‘The Casket Chasers’, ‘Funeral Of Dreams’, ‘Death Of An Anarchist’, ‘La noche del buque maldito (aka Ghost Ship Of The Blind Dead) and ‘Open Mind Surgery’. The artwork will once more be supplied by longtime CATHEDRAL cover artist genius Dave Patchett. “The Guessing Game” is scheduled for a spring 2010 release. Long running American thrash legends OVERKILL have signed to Nuclear Blast for a multi release deal. The first offering will be available early 2010 titled ‘IRONBOUND’ – a true ‘thrasher-piece’! 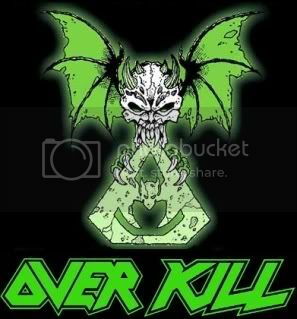 Nuclear Blast is very stoked to announce the signing of legendary New Jersey thrashers OVERKILL!! Chuck Biscuits “Death” A Hoax? It looks like all of us in the rock media may have just got played like the world did with “Balloon Boy”. Mike Usinger of Straight.com reports that rumours of the demise of Chuck Biscuits have evidently been greatly exaggerated. Earlier today, everyone from AbsolutePunk.net to Entertainment Weekly reported that the former D.O.A. 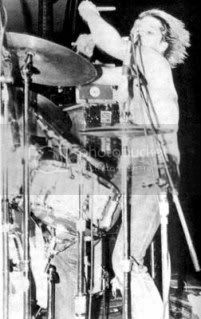 drummer–who left the music business in 1999–has died of throat cancer on October 24 after a long illness. The “death” was reported by blogger James Greene Jr., who wrote that he had spent the past six months corresponding via e-mail with Biscuits and his wife. In the hours after the story went viral, Greene’s website, www.jgtwo.wordpress.com was bombarded with posts demanding proof of the death. 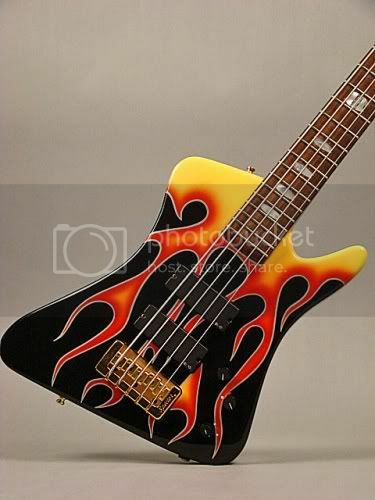 Rex Brown’s Bass From PANTERA’s “Reinventing The Steel” Tour For Sale! All of this while the legendary guitarist’s very own “Pot-gate” scandal has developed. 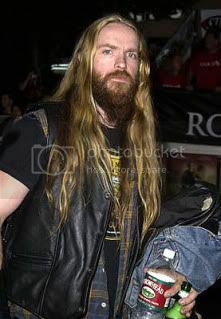 TMD broke news earlier about Zakk Wylde allegedly being spotted in a Medical Marijuana Dispensary in Los Angeles this past Friday morning (Oct 23). 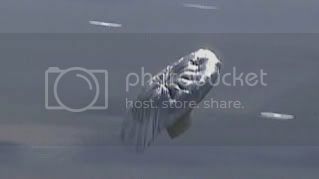 Now, the debate on whether or not this incident actually happened has begun to erupt at the Zakk Wylde.com forum.